Perhaps it is rather obvious that the majority of us cannot afford a luxurious week-long or even month-long vacation to a foreign country. Either because of our financial limitations or our eventual disinterest, a trip as such is becoming increasingly impractical. That is also the reason why many modern travelers try to make the most out of their layovers or weekends. And what better way to do so than to go on a day trip? That said, not all day trips are worth your while as some may be too short or just don’t seem to pique your interest. And let’s not forget the time you will probably spent scouring the net for recommendations. So, if you happen to be in the Mekong Delta and are in the spirit of making your Mekong Delta day trip a fulfilling one, here is a list of ‘day trips worth the journey’ in the GMS – Great Mekong Subregion. This particular river is a bit of a celebrity in Asia. 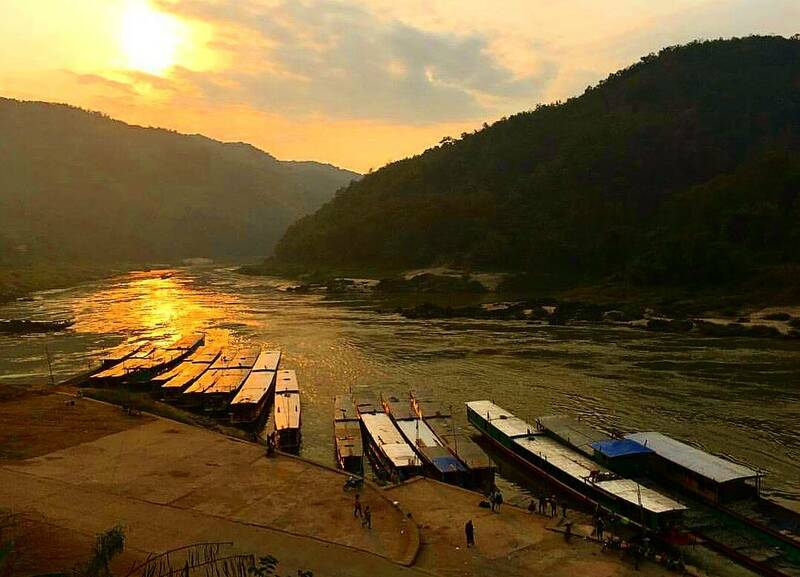 Sitting comfortably on its spot as the 12th longest river in the world, and 7th in Asia, the Mekong river has an estimated length of 4,350 kilometers or 2, 703 miles. With such an immense size, it discharges a staggering near 480 cubic kilometers of water on a yearly basis while weaving its ways through the GMS, from the Tibetan Plateau in China, through Myanmar, Lao, Cambodia, Thailand, and finally, to Vietnam, pouring out into the open sea via Cuu Long’s Rivers. The Mekong, thanks to its topographical features, proves a vital trading route while yielding an abundance of natural resources, which why is the six mentioned countries are now in a cooperative framework, managing and coordinating the use of the river. And, with the river’s promising commercial yields, these countries also see a boom in tourism, constituting a major part of their national revenue. From the wilderness of the Tibetan Plateau, Vietnam marks the end of the river’s journey with nine tributaries, known as Cuu Long or ‘Nine Dragons’ in Vietnamese, pouring out into the South China Sea, which is part of the Pacific Ocean and a lucrative international trading route with ships carrying 3 trillion dollars’ worth of goods passing each year. Thanks to the more than plentiful supply of alluvial sediment, Cuu Long’s soil is enriched, effectively turning it into an agricultural powerhouse, pumping out a third of the Vietnam’s annual crop yield. This is also why Cuu Long is known as the land of orchards, the ‘Rice Bowl of Vietnam’. Day trips to the lower course of the Mekong River or Cuu Long are many. 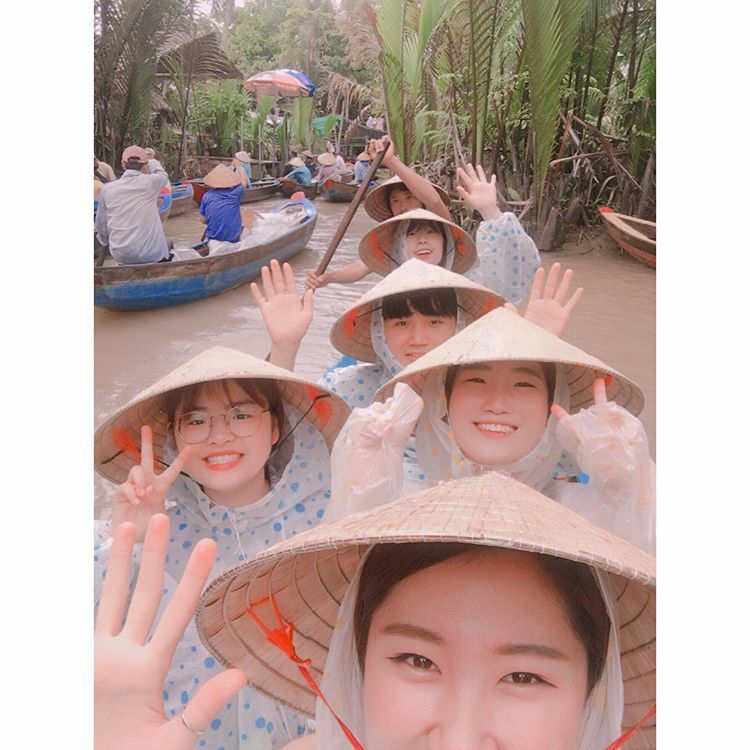 However, what you should not and must not forgo when visiting the Mekong Delta of Vietnam are the floating markets, the fruit-laden orchards, and exploring the countryside. 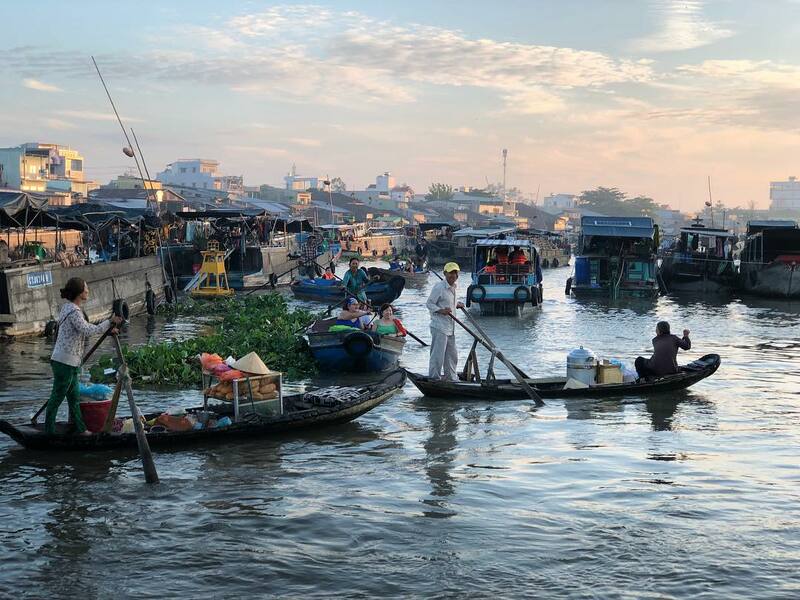 A wonderful and worthwhile day trip to the Mekong Delta should be one in whose itinerary includes floating market excursion, meeting the locals, sampling the region’s delicacies. If you have already experienced all the above-mentioned draws, then making a day trip to Can Gio forest via speedboats is an equally rewarding alternative. 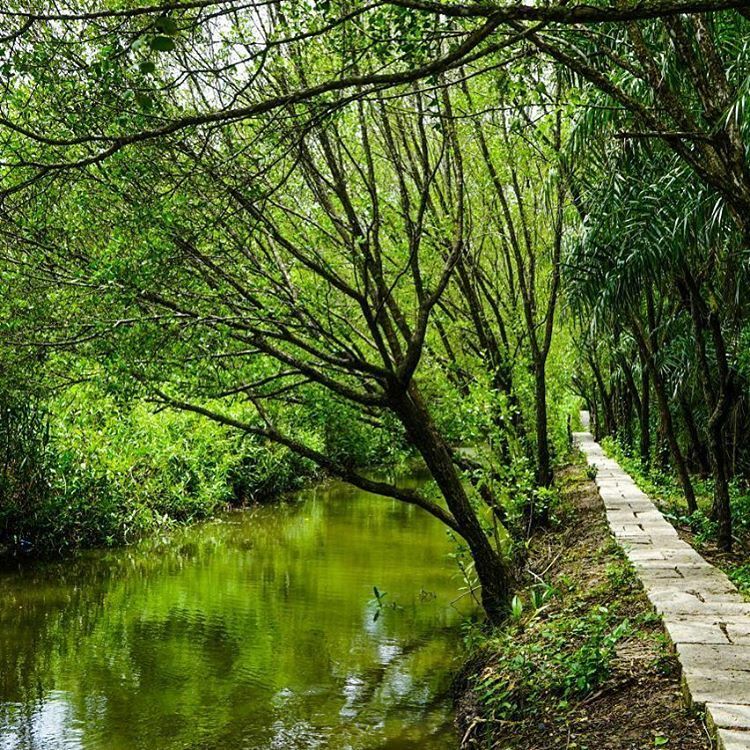 The mangrove of Can Gio or, as it is properly known, the UNESCO Biosphere Reserve of Can Gio is one of Vietnam’s key ecosystem, located South East of Ho Chi Minh city while occupying an impressive 75,740 hectares. On this day trip, expect to be welcomed by sights of exotic birdlife, charmed by the cheekiness of monkeys and gibbon and thrilled by trying your hands at feeding live crocodiles. Located not far from the Mekong region of Southern Vietnam is your next option for an unforgettable day trip, Cu Chi tunnels. What more to say about this other than it is the symbol to Vietnam’s guerilla warfare and of great importance to Vietnam’s triumph over America? 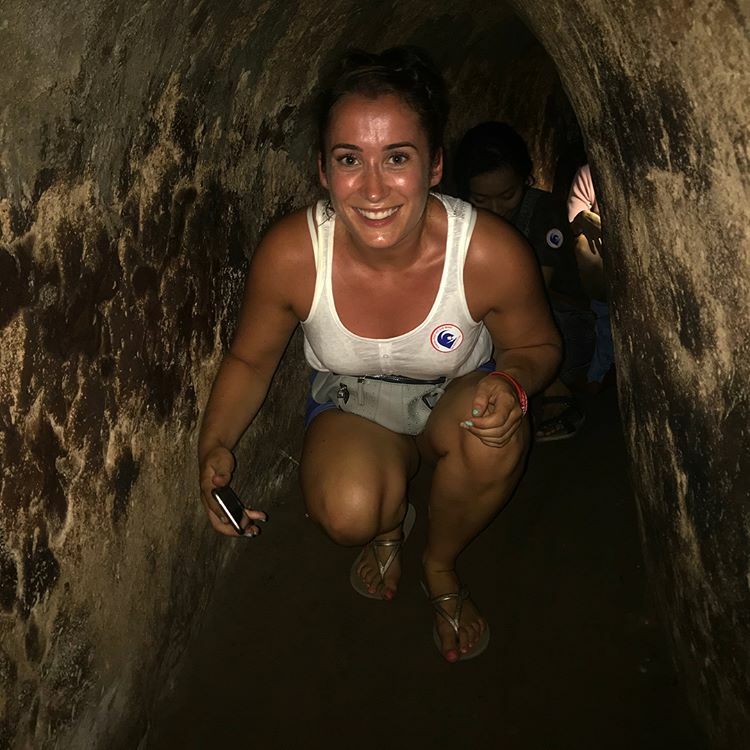 A Cu Chi Tunnels day trip will be nothing short of memorable with exploration to the elaborate, claustrophobia-inducing network of tunnels, insights into the ingenuity of Viet Cong soldiers and an intimate time with some AK-47 at the on-site shooting range. If you are in Vietnam and are looking for options for day trips, then, dear travelers, you are in luck, as Inspitrip has an amazing variety of fully-customizable, local guide-included day tours for you to choose from. Be sure to drop by Inspitrip’s website for more details on Mekong Delta day trips. 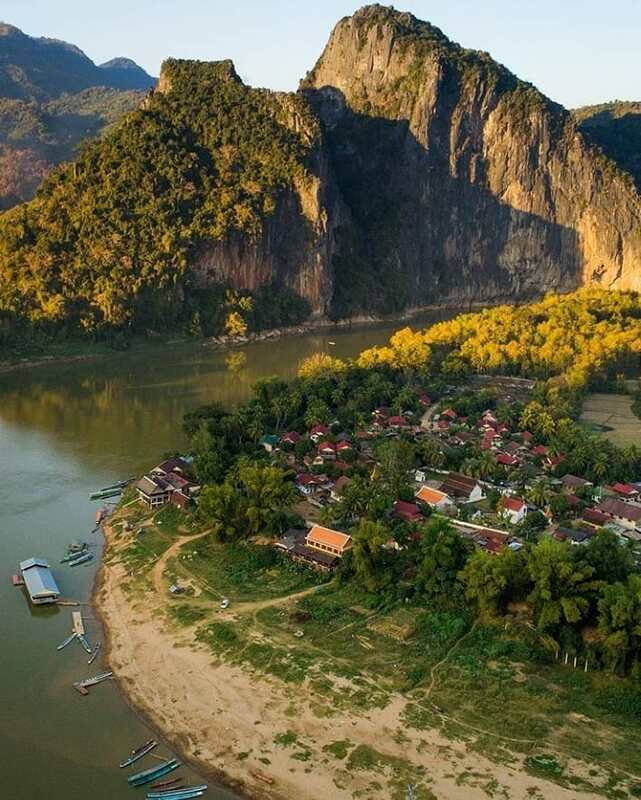 Standing amidst tourism buffs such as the like of Vietnam, Thailand and Cambodia, Laos is definitely outshone. What’s more, due to its positioning, Laos is a landlocked country, meaning that, most of the time, it relies on its neighbors for commercial goods. However, there is more to Laos than just economic differences, but rather a true cultural gem that will win you over with its people’s hospitality and diversity. Small in size and economically dependent as it is, there is enough in Laos, whose lifeline is none other than the Mekong River, to keep you occupied for weeks to come. 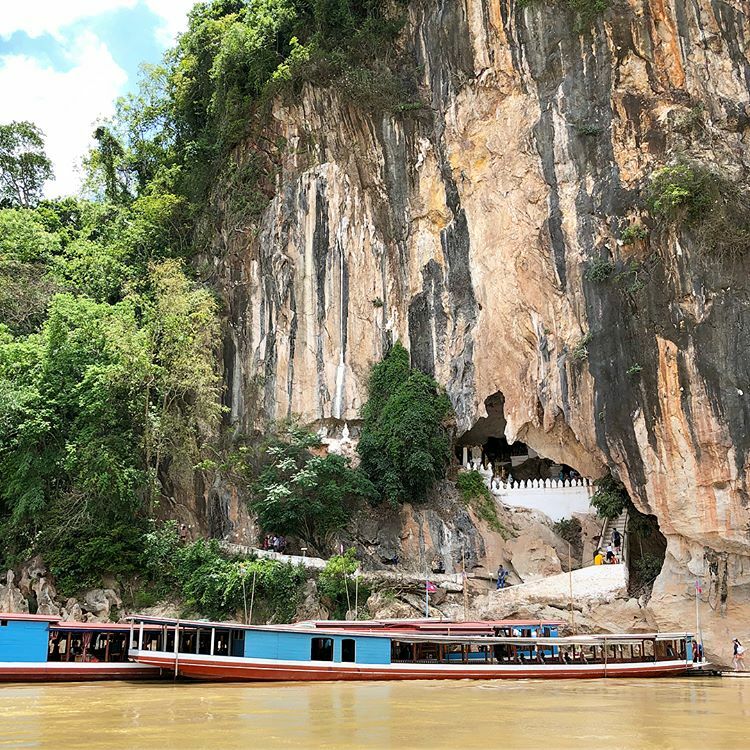 The most popular day trip option is a journey from Laos’ acclaimed heritage city Luang Prabang to vibrant temples and, eventually, the famed Pak Ou caves. The caves are quite well-known among tourists thanks to its various wooden Buddhist statues being displayed in multiple positions across the caves, all of which creates a mystical, ancient ambiance that will leave a lasting impression on visitors. 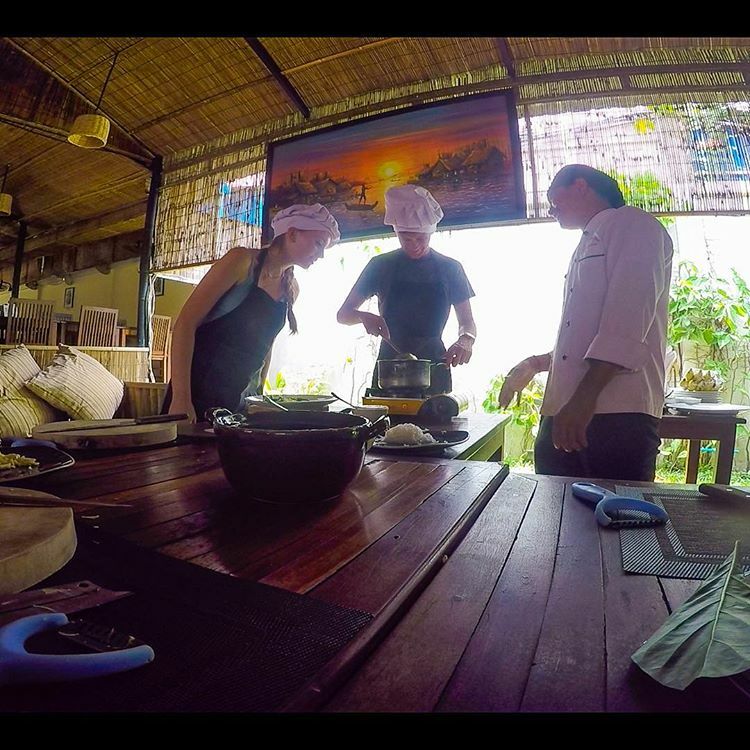 In comparison with venturing to temples or hiking in Laos’ forest-clad mountain, taking a cooking class in Laos is a rather unconventional experience and undoubtedly a tasty one. As of late, Laos cuisine has seen a rise in popularity, so when can there be a better occasion to taste and, better still, create delicious Laos dishes and take home some amazing recipes than right here in Laos? On this day trip/cooking class you will get to visit a local farmer market. Afterwards, you will be instructed to prepare a 4-dish course and have the chance to try your creations. 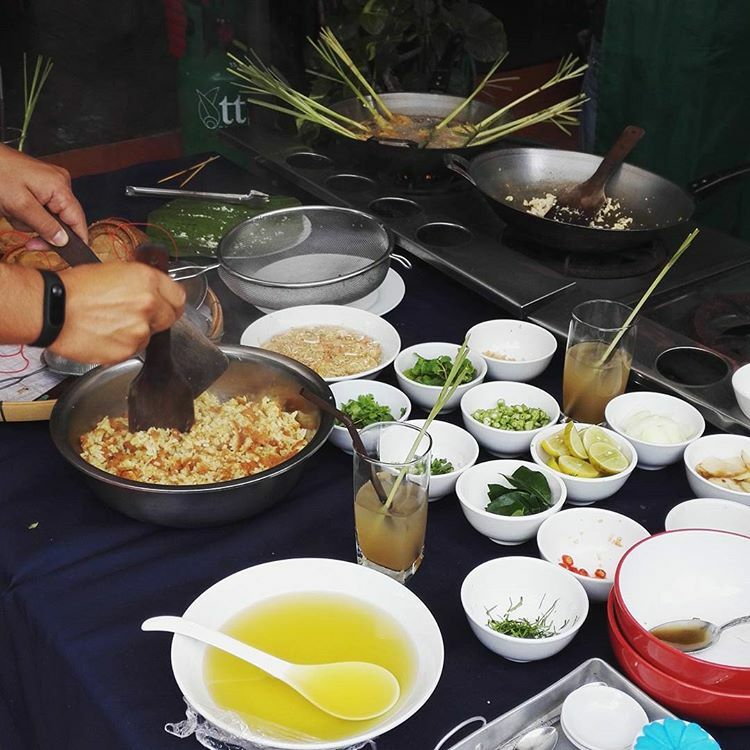 For more information on this cooking class as well as the Pak Ou day trip, click here. Nowadays, Cambodia is almost synonymous to Angkor Wat or more generally its array of mesmerizing temples and ruins. With that said, Cambodia is also where the Mekong River leaves its touch. The most prominent effect of the Mekong on Cambodia can be best observed from the Tonle Sap, the biggest fresh water body in Asia and the most productive ecosystem in the world. 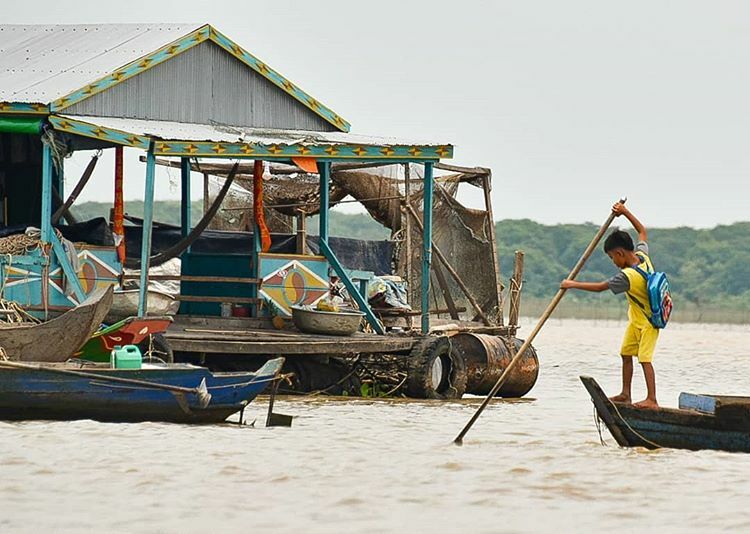 Thanks to a branch separating from the Mekong and contributing directly to Tonle Sap, the great lake can see its volume increase to seven folds during rainy season. 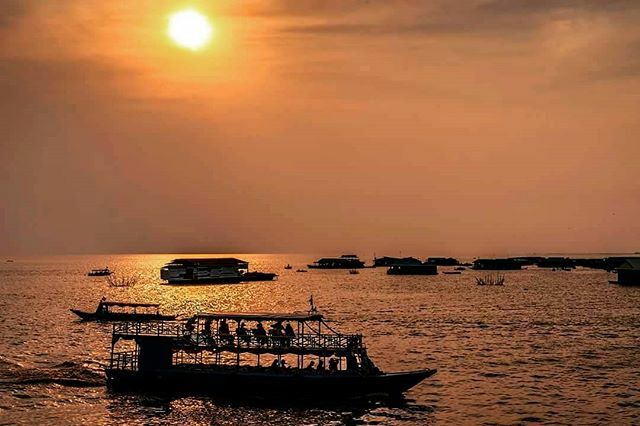 On the mentioning of Tonle Sap, one cannot miss out on its floating villages, the most untouched and non-touristy of which is Kompong Khleang. On a day trip to Kompong Khleang, the most beautiful out of the three floating settlements on the Tonle Sap, you will travel 36 km southwards from Siem Reap, then hop on a boat to travel to the village. Along the way you can see locals going about their daily life, houses and other establishments moving along with the current of the great lake. Afterwards, you can pay a visit to the Preak Toal Bird Sanctuary for some exotic bird-watching experiences. And just like its neighbor Laos, Cambodia also has a vibrant cuisine that is riding the wave of many food crazes. Knowing this, why not get a first-hand experience here in Cambodia? Think of it this way, instead of buying souvenirs for your friends and family, it would be a great deal better to give them a taste of what you have experienced and loved. If you wish to partake on this cooking class, then expect to visit a local fresh market with your English-speaking guide/chef to shop for ingredients. After that, you will learn to make dishes from a menu of your own choosing. Thailand, the land of golden pagodas, is one of Mekong stops before reaching Vietnam and into the open water of the Pacific Ocean. Thailand is also a center for Buddhism, a tourism hotspot and a nation of approximately 70 million people. 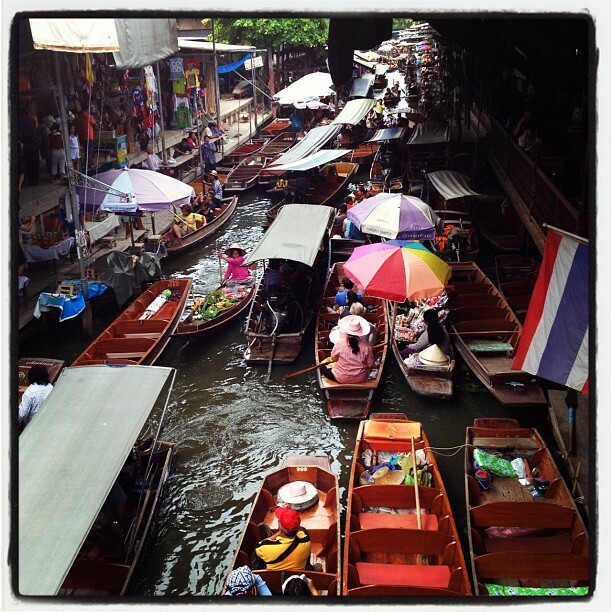 As a matter of fact, Thailand has so much to offer in terms of tourism that it is almost impossible to see it all. 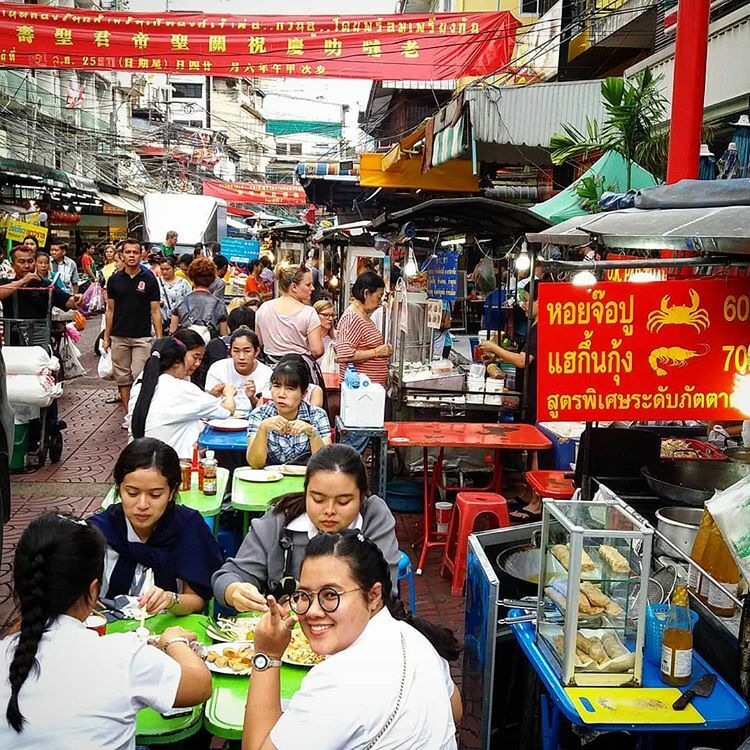 If you are big fan of Thai food or an uninitiated wanting to get in on the food craze or just simply in the mood for crazy delicious food, then a food crawl through streets of Bangkok is for you. 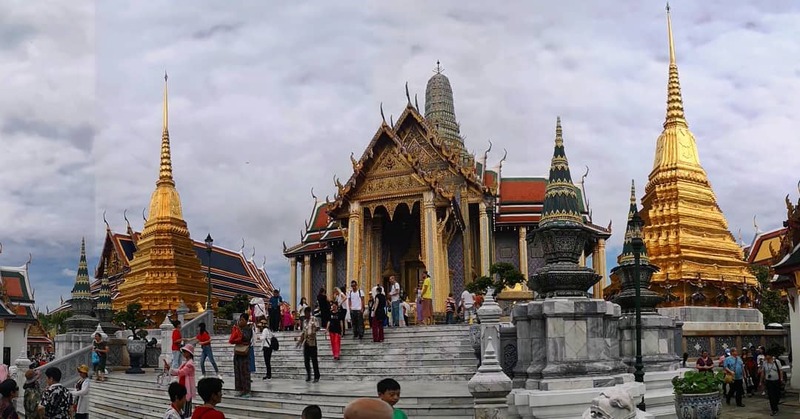 There are day trips available to take you to all the finest eateries and street food sanctuaries of Bangkok, the most famous of which is the capital of Thailand’s Chinatown – Yaowarat Road. Appetite whetted and already intrigued? Simply click here for more information on food tours.